We are going to be learning how to sew an unlined patch or “applied pockets” as they are professionally known. A patch pocket, as the name implies, is a separate piece of fabric that is applied to the right side of the fabric. Done properly it will give your garment a look of professionalism and of course practicality. 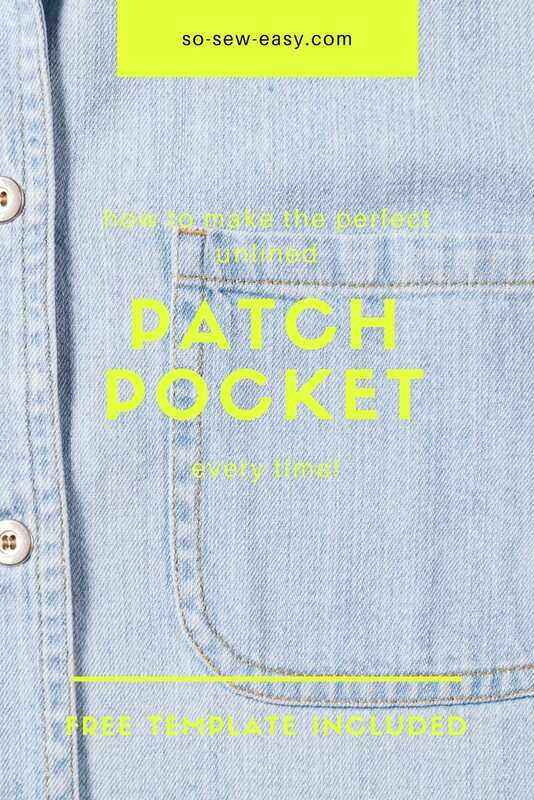 The patch pocket is also an excellent way to separate your design from the rest. Have a look at the picture below for just a few examples of patch pockets variations. In this tutorial, I will be showing you the most basic of the applied pockets. The following tutorial is for cotton fabric, linen, canvas and denim and a combination of them. This type of pockets is not for loosely woven fabrics because the pocket will gape at the opening. Also, learn how to make a double welt pocket using the 5 lines method. Check the tutorial HERE.